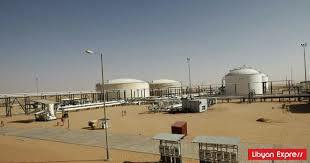 Libya’s oilfield sub-station Sharara was attacked by a group of gunmen, said on Thursday the National Oil Corporation (NOC), noting that one was killed in the attack. NOC also called for the support of local and national stakeholders to secure oil sector facilities and staff, underlining the need for a unified national security apparatus. As OPEC members weigh oil production cuts in early 2019 to keep prices from falling amid a potential oversupply, Libya, like Nigeria, hopes for an exemption because of soaring violence. Libya’s output has skyrocketed in the latter half of the year to its highest level in more than five years, reaching 1.28 million barrels per day (bpd). The North African country of 6.4 million has been struggling to restore stability and rebuild its energy industry since its 2011 revolution that ousted long-time leader Moammar Gadhafi. Last week, General Khalifa Haftar, the charismatic leader in control of the country’s eastern government in Tobruk, and Prime Minister Fayyez Serraj of the rival Government of National Accord (GNA) in the western city of Tripoli, agreed to support a UN plan to hold elections in early 2019. The GNA is Libya’s internationally-recognized government while Haftar’s government is supported by some Arab countries and a number of militia groups. UN Special Representative for Libya Ghassan Salame has told the Security Council that a national conference will be convened at the start of 2019 to “create a space for Libyans to crystallize their vision for the transition” stalled due to spiral violence and fighting between warring factions over power. Last week, the Italian government organized in Palermo an international conference to advance the UN-sponsored stabilization process for Libya. The UN plan to stabilize Libya calls for organizing a Libyan national conference that would discuss the creation of reliable and transparent political institutions, redistribution of oil revenues, unification of financial institutions, and restructuring and unification of the Libyan national army.